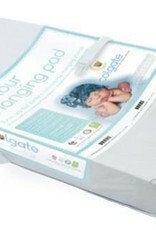 Colgate’s contour changing pad provides a secure cocoon for baby during diaper changes. The quilted cover cleans easily and the product includes a fiber support board, safety strap, and screws. 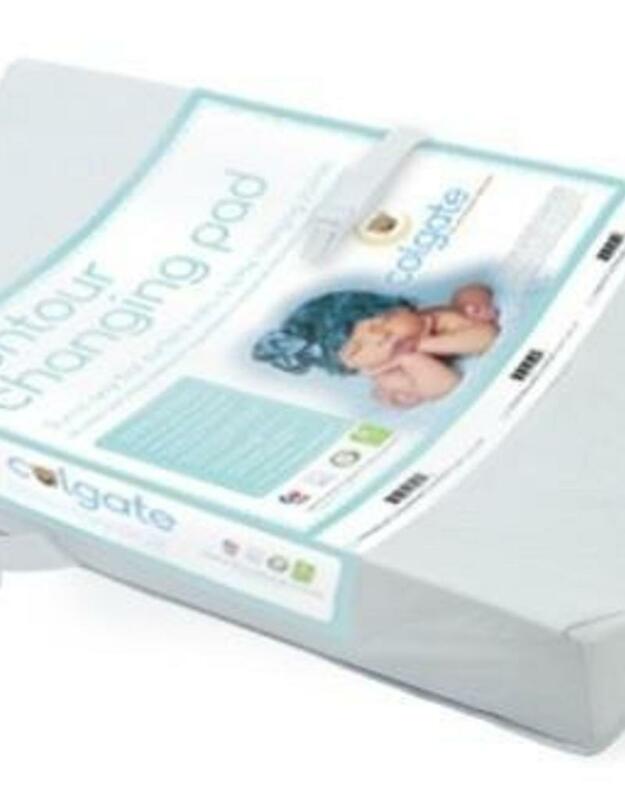 Colgate’s contour changing pad turns any flat surface into a baby changing station. The changing pad’s white, quilted cover cleans easily with a damp cloth and mild soap. Extra safety features include a rigid fiber support board, a safety strap, and screws to attach the changing pad. This product uses high-quality CertiPUR-US® certified foam and is GREENGUARD® Gold certified. All Colgate crib mattresses, pads, and accessories are non-toxic and pass all government safety standards and manufactured right here in the USA.